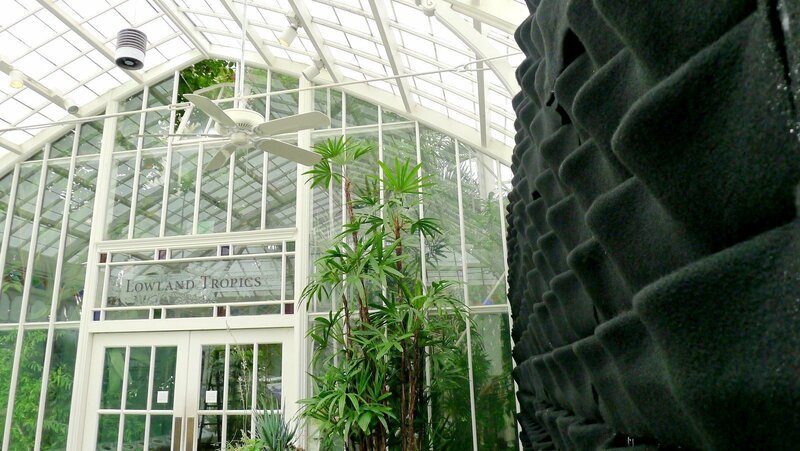 The San Francisco Conservatory of Flowers, one of San Francisco’s cultural and historical gems, now boasts a huge vertical garden from Plants On Walls. The new feature welcomes visitors as they step into this Victorian masterpiece and gives them a thrilling preview of the wonders that await inside. 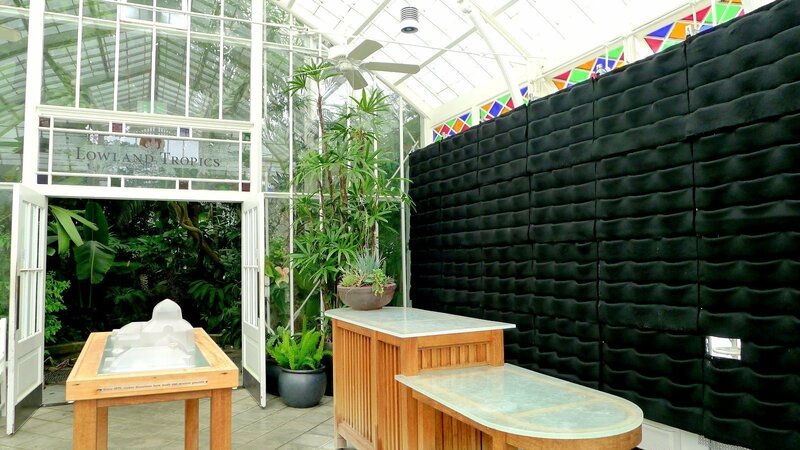 The 360-pocket living wall will house exotic species grown at this famed location, as well as donated plants. 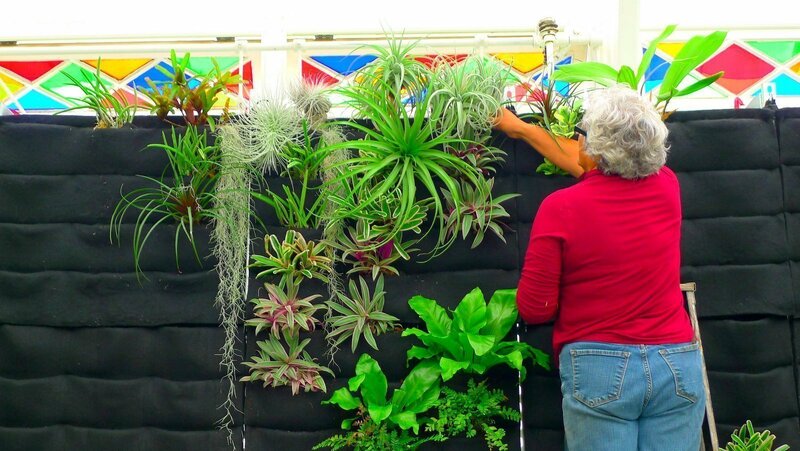 Plants On Walls provided 32 Florafelt living wall planters mounted to a galvanized steel frame. The permanent installation will be used to highlight special exhibits as well as seasonal attractions. You can visit the Conservatory of Flowers in Golden Gate Park. 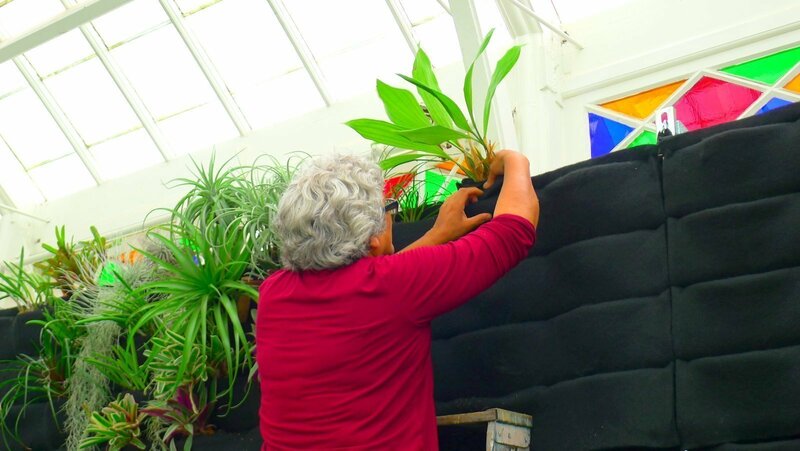 Guadalupe Cota, Senior Nursery Specialist, donated the first plants into the wall. The Florafelt Vertical Garden system gave her the flexibility to slowly build the perfect garden according to availability and design. Chris Bribach, Plants On Walls. San Francisco Conservatory Of Flowers. Florafelt Vertical Garden Planters. Guadalupe Cota. San Francisco Conservatory Of Flowers. Florafelt Vertical Garden Planters.